having on Pepto-Bismol, he probably fears he’ll end up like her. And it doesn’t even have to be sports. He was watching C-Sp…zzzz….excuse me, C-SPAN last night, and I couldn’t get him to attend to my story about my new fingernail polish. #6: There is anything at all lying around with words on it. #5: There is anything else to do. Surely he’ll listen to my story about play group after he finishes reading the phone book. #4: There is food around. He definitely won’t be concentrating on my critique of my Book Club book if he is eating. If the sun is out, you can bet he is not listening to me as closely as I’d like. 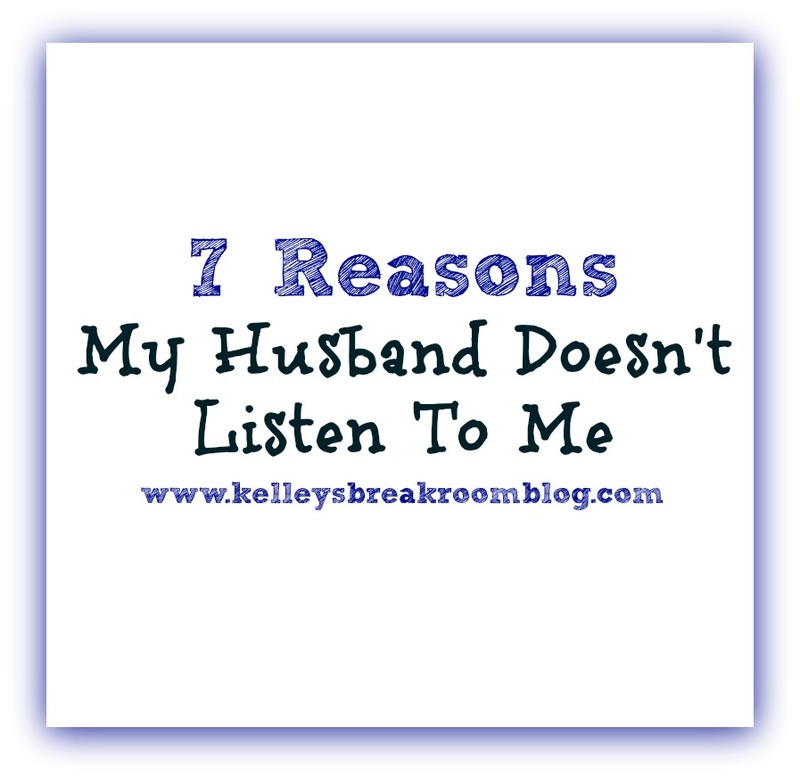 #2: He is within earshot. If he can hear me, you can bet he’s not hanging on my every word. *My husband helped me come up with this list.